Seniors Are Losing Billions Of Dollars A Year To Fraud. What Can We Do About It? American seniors are being duped out of billions of dollars a year, and con artists are getting more sophisticated all the time. We're looking at what types of scams are on the rise, why prosecution of these cases can be difficult, and how best to prevent them. James Boffetti - Associate Attorney General with the N.H. Department of Justice. Todd Fahey - State Director of AARP - New Hampshire. AARP's ElderWatch program trains volunteers to assist seniors in recognizing and reporting fraud. Rachelle Megowen - Officer with the Hudson Police Department. She serves on the executive council of AARP - NH and on the FTC fraud network, which investigates identity theft. She presents elder fraud information at senior centers throughout the state. Information on how to spot, report, and avoid scams. The New Hampshire Attorney General's consumer hotline: 888-468-4454. 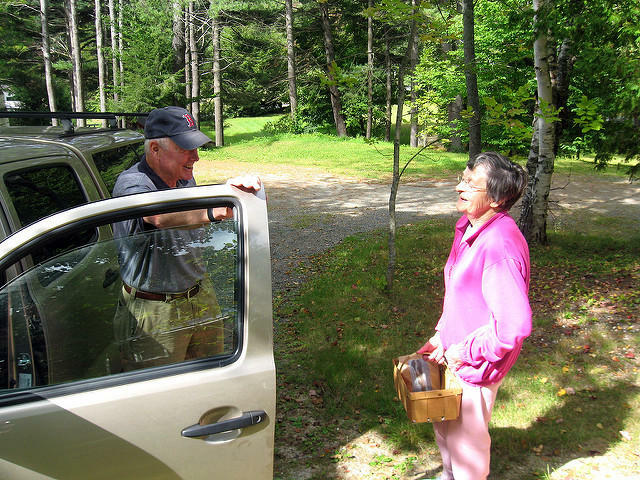 The N.H. Bureau of Elder and Adult Services: 800-949-0470. Other resources provided by AARP: Scams that target veterans and The Con Artist's Playbook, which gives insights into how scammers think and operate. The CFPB distributes placemats such as the one below with information on elder fraud to senior centers and organizations serving older adults.